In this era of internet, there are trillions of websites and web pages. For starting or running a business online, communicating with people, for entertainment we visit web pages. These web pages need to be developed, designed and scripted in a manner so that they are attractive, easy to use for a user and generate maximum traffic for a website owner. There are several programming languages present to develop and run websites like asp.net, PHP, C++, Java, Python and many more. Out of them PHP is the most popular because of its clear advantages over other languages. Nearly all the applications are being developed on PHP today. Firstly, it is an open source language. You can find a large number of sample codes online. These can be downloaded for free. It adds to its popularity. Also, being open source language, developers continuously contribute in developing newer and better applications. You can find already developed source codes or nearly similar source codes in the PHP community. The number of PHP developers present in the market also add to its advantages. 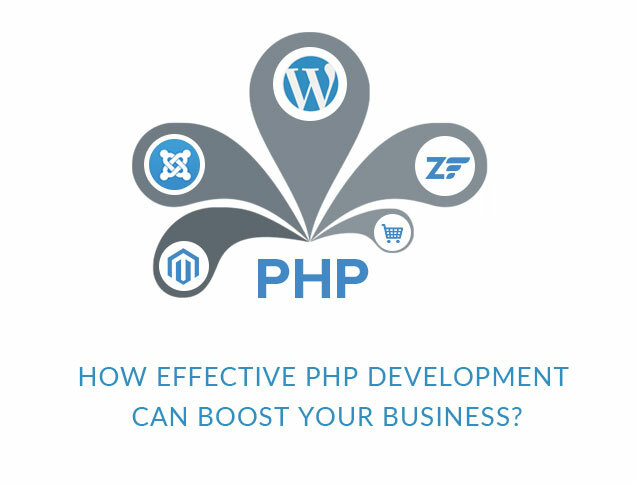 Big business firms hire PHP developers to bring about the cost effectiveness. Secondly, PHP development services take less time than other development services. Also it is easy to use and efficient. Therefore, PHP developers develop dynamic web pages which are good in appearance and it is easy to access links and they generate good traffic at their websites. Another major advantage of PHP is its compatibility and its ease of integration. Web Pages developed by PHP development services are compatible and run on any operating systems like Linux, windows, Mac etc. Also its ease of integration with database servers of all types. The pages developed on PHP run finely on all database servers like MySQL and web servers like Apache. PHP also makes it easier to swap between database servers. PHP retains flexibility at every level i.e. at designing stage and on completion stage. A project running on PHP can be subjected to changes with simplicity and within no time. Along with designing and development, modification and customization of PHP development services is also easier. Also, it makes the documentation of work easy. The files and pages can be downloaded easily and at an increased speed. PHP also offers content management systems like Wordpress, Drupal etc. It is easy to use and easy to comprehend. These advantages give a upper hand to PHP development services over other services. Due to these reasons PHP is gaining popularity among users as well as developers.